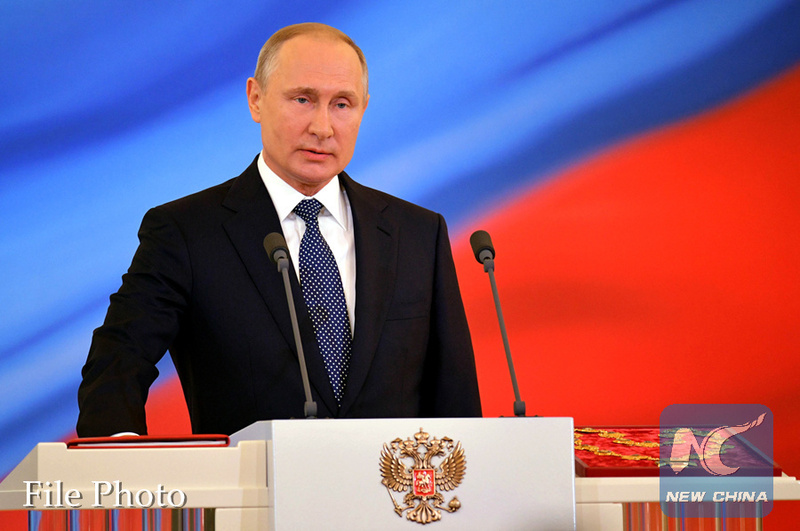 MOSCOW, June 30 (Xinhua) -- Russian President Vladimir Putin has signed a decree approving a national plan for fighting corruption in Russia between 2018 and 2020, the Russian government said Saturday. The decree was published on Russia's legal information portal. According to the decree, the heads of federal executive bodies and other federal authorities shall ensure the implementation of the measures envisaged by the decree and present by Sept. 1, 2018 relevant modifications to anti-corruption of these agencies. The adjustment of regional anti-corruption plans shall be reported before Oct. 1, 2018, it said. The presidium of the Russian President's Council for Countering Corruption shall form a working group to monitor the implementation of measures stipulated by the anti-corruption program and examine the working group's report on an annual basis, the decree said.